Lavender instantly calls to mind a relaxing and soothing fragrance. It is used in many products for relaxation or for spa treatments. It is also commonly used as an essential oil for women's perfumes. The plant is very adaptable and can be grown in many types of gardens. It can be grown in a simple container on a balcony or at a desk. It may also be grown in a large patch in a landscape or garden bed. Lavenders can also be purchased in the form of plants or arrangements in places around Hawthorne, CA, Chesapeake, VA, Minneapolis, MN, Alhambra, CA, and Charleston, SC. This flower species includes annuals as well as shrub based plants. This creates many options when deciding to cultivate the plant. There are many available species for this member of the mint family. Some species have developed in the wild due to its widespread use. It is most often found in gardens, parks and in containers in homes. This is a widespread plant due to its easy cross pollination ability. Early spring blooming plants are often favored for some climates. Yellow, French and Spanish lavenders are popular for some gardens. These varieties are most often found in non-English garden areas. Lavandula angustifolias often covers the many English varieties. Many varieties are large leafed and tall, making them stand out. The flowers are often colorful and vibrant with a strong fragrance. Cuttings are one of the best ways to create new plantings for use. Seeds offer another possibility, but take longer than the cuttings. For established gardens, separation may also be used to spread plants. Soil drainage should be checked prior to planting seeds or cuttings. Soggy soil that does not drain can create root rot and lead to decay. Organic matter may be needed to help prepare the soil for planting. Soil pH should be monitored as it can reduce thriving of the plants. Compost can be added to help change the pH as needed during growing. Yellowing leaves can often indicate soil that is out of balance. Air circulation is needed for optimal growth, rather than clumping. If overcrowding occurs they may be dug up and separated or pruned. High heat and humidity can cause rot or other diseases to flourish. 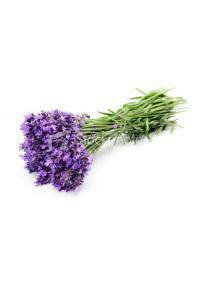 Lavender is widely known for its medicinal and soothing properties. It is most often used in herbal blends for soothing and relaxation. The essential oil is frequently used for relaxing in aromatherapy. Its nectar is widely used to make fragrant honey for consumption. This is often found in desserts or for baking and creating syrup. Dried leaves or flowers may be used in creating dishes or candies.
. The essential oil is thought to have anti-inflammatory properties. Antiseptic properties have also been demonstrated when using the oil. It was commonly used in World War I as a disinfectant for hospitals. The purple color is often associated with femininity and womanhood. For this reason it is more frequently given to women as a bouquet. Potted versions make for popular gifts for birthdays and holidays. Given as a gift, it often represents purity or good luck or fortune. They may be given as a plant, cut flowers or as a dried arrangement. They may also be used to express devotion to family or loved ones. Elegance, refinement and luxury may also be expressed with lavenders. Many believe they have a timeless elegance that makes them popular. These delicate blooms are often seen in classic homes and decorations. This plant may be used to decorate a room or lawn for more charm. This makes them a popular choice for decorating a bath room. Lavender may also be used to create a calming environment in a room.